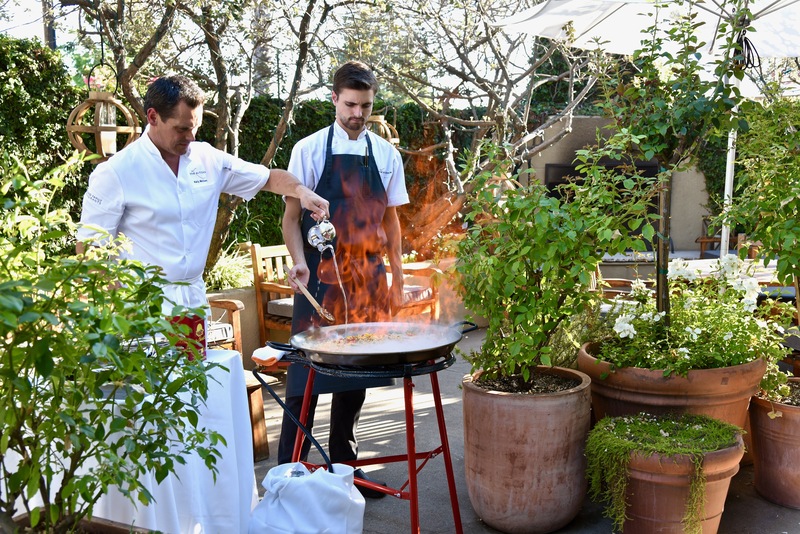 In August 2017, experience something totally new at The Kitchen, when Chef Kelly and his team offer up Spanish-inspired dishes for our “Intermission” Course, featuring Paella being cooked al fresco upon arrival. 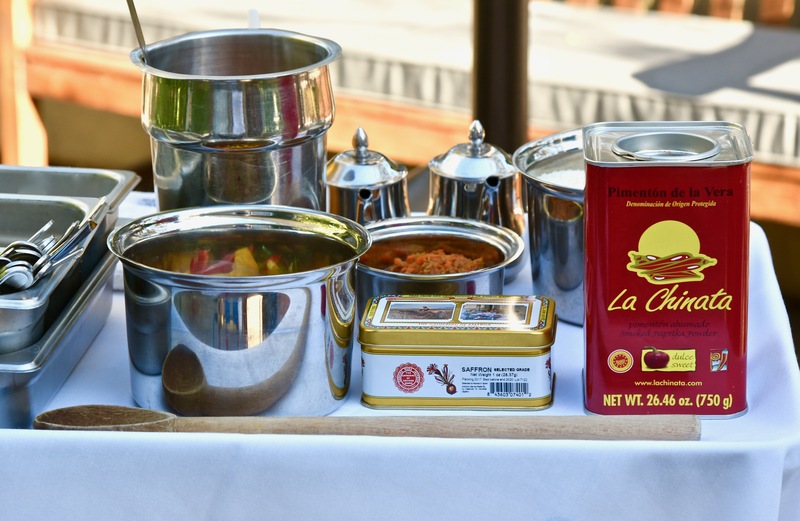 Executive Chef Kelly McCown says has really been itching to try some new things to celebrate summer at The Kitchen by doing more outdoor cooking, while dreaming of the beautiful, sunny flavors of Spain. Paella cooked on the patio is the perfect way to scratch that itch, and it will lead the charge on the chefs’ Spanish-inspired offerings. The chefs will get the Paella going as you arrive, sizzling away in our 30-inch paella pan. 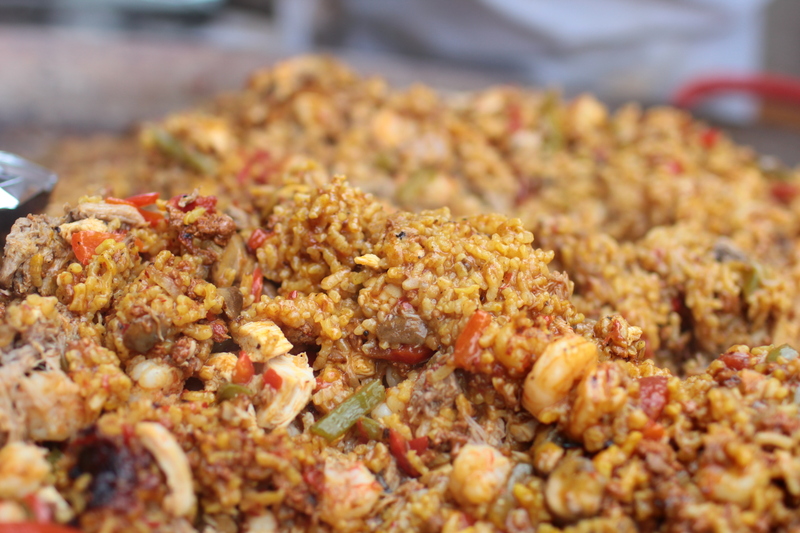 Watch the chefs prepare the paella and chat with them while enjoying pre-dinner libations. 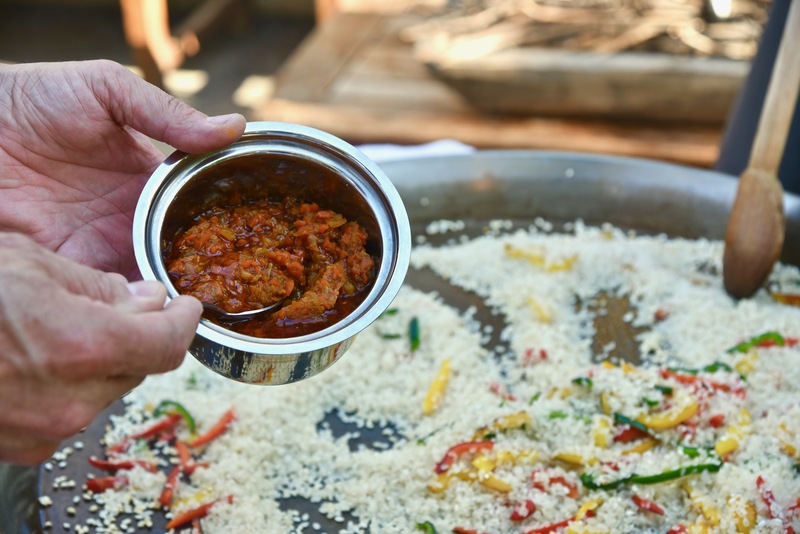 The enticing aromas of saffron-infused rice with the fresh meat and seafood ingredients the chefs are using that evening – think shrimp, sausage, chicken and more – will fill up your senses. After the initial introductions, and The Kitchen’s famous “show,” you’ll savor the first two courses of the evening, and then get up to explore the restaurant and partake in our “bonus course” of Intermission. The Paella, now ready, will take center stage, with other Spanish-inspired dishes and ingredients like grilled shrimp and octopus, Spanish torta, Iberico ham with melon, and other Kitchen takes on Spanish favorites offered up for your summer dining pleasure. Be sure to book your seats in August soon to delight in this new and inspired Intermission – delicious, celebratory, and available for one month only! A finished Paella – yum! The Kitchen - Now With Cocktails!